19-year-old Sean O’Neill was diagnosed with hypertrophic cardiomyopathy four years ago. 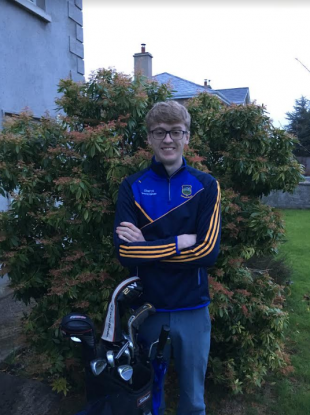 Four years ago, 19-year-old Tipperary native Sean O’Neill received a life-changing diagnosis, which saw the end to his sporting life as he knew it – but at the end of this month, he’ll get the opportunity to head off on a dream golf trip to the US. Following a routine school screening, and a follow-up trip to Our Lady’s Children’s Hospital in Crumlin, it was discovered that O’Neill has hypertrophic cardiomyopathy (HCM). HCM occurs if the heart muscle cells enlarge and cause the walls of the ventricles to thicken. At the time, O’Neill was an active hurler and a competitive cycler. His diagnosis saw an end to these hobbies. “It was a huge shock. 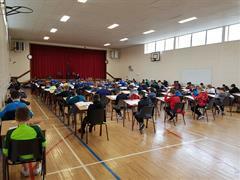 It was huge and it still is,” O’Neill’s mother Suzanne told TheJournal.ie. “We’re very positive people and we would have always tried to put a positive slant on it, but the challenge for Sean … we live in Tipperary and there would have been a lot of hurling around here. I think it was a huge challenge for Sean,” she said. 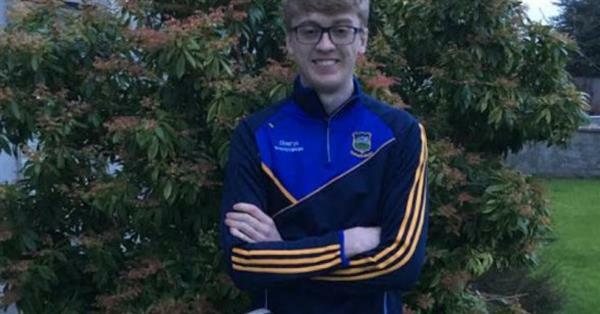 The day after O’Neill’s 18th birthday, he was at home with his mother when he experienced a life-threatening arrhythmia. He sustained six shocks from his defibrillator, which is inserted in his chest, something his mother described as an “electrical storm”. “I was lucky I was actually with him. It was a really, really low point for him because the trauma of it alone to be shocked from a defib, it’s very hard,” Suzanne said. “We just felt that there had to be something for him. We were just so frustrated that he was having such a difficult time,” she added. It was at this point that O’Neill’s parents made the decision to get him involved in golf, something his doctor at Crumlin had suggested, and paid for lessons for him. They also began looking into events he could get involved in. “We were frantic, really, looking online to see if there was any positive thing that we could apply for or that he could get,” Suzanne said. 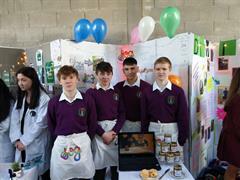 After finding details about the organisation online, they wrote an application to Round of a Lifetime (ROAL) in the US. The Round of a Lifetime Foundation was established in 2010 to preserve the memory and passion of Andrew Maciey, who passed away from Familial Dilated Cardiomyopathy at the age of 24. The foundation holds a major annual golf tournament, rallies, fundraisers and other outings throughout the year. Furthermore, it provides golf trips for people who have congenital heart defects. Earlier this year, the O’Neill family received an email from ROAL to confirm that Sean had been chosen to be a recipient for one of this trips. This is the first time the foundation has chosen somebody from outside of the US to take part. Next weekend, O’Neill will travel to Florida to play at TPC Sawgrass. “He was delighted, he was absolutely thrilled,” Suzanne said. O’Neill has chosen his father, his neighbour and a friend to travel with him on the trip. ROAL president Joe Maciey told TheJournal.ie that O’Neill was chosen for the trip “based on not only meeting the criteria of the foundation, but someone who makes a good fit”. “Sean is our first international recipient and we are so happy to have awarded him a trip to play at TPC Sawgrass in Florida,” Maciey said. Speaking of what it means to her for O’Neill to have been chosen, his mother said: “He’s had so many negative experiences and so many challenges that we just want him to have a positive experience. Suzanne expressed her gratitude to the doctors at Our Lady’s Children’s Hospital, the Mater Foundation and ROAL for their support towards Sean over the years.